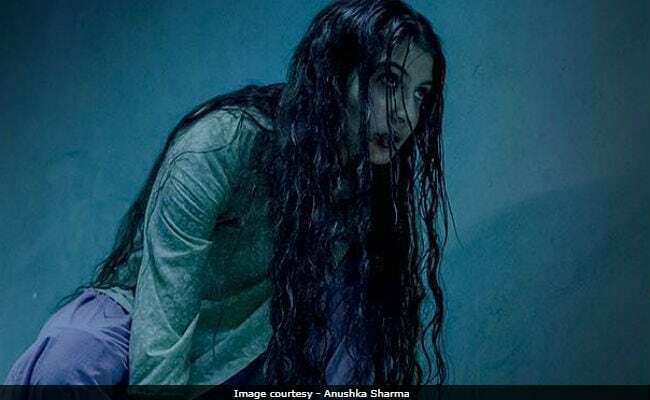 Anushka Sharma's much-anticipated film Pari, which opened to mixed reviews on March 2, witnessed an 'upward trend' on the second day at the box office, reported trade analyst Taran Adarsh. Mr Adarsh wrote on Twitter, "Pari witnessed an Upward Trend on day 2... Sunday biz is crucial... Friday 4.36 crore, Saturday 5.47 crore. Total: Rs. 9.83 crore. India biz." Even though it was a Holiday for Holi on Friday, the supernatural thriller didn't register an impressive start. The film, however, fared well on Saturday and is hoping for a good business on Sunday. Pari is Anushka Sharma's second attempt at making a supernatural film after Phillauri. #Pari witnessed an UPWARD TREND on Day 2... Sun biz is crucial... Fri 4.36 cr, Sat 5.47 cr. Total: 9.83 cr. India biz. Pari's plotline revolves around the lives of Rukhsana (played by Anushka Sharma) and Arnab (played by Parambrata Chatterjee). Anushka essays the role of an abused victim (found chained) in a forest, who is rescued by Parambrata. A great deal of effort was ensured by the makers of Pari to rev up the suspense around the film, from dropping the film's screamers every now-and-then to keeping the details of the film's a well-kept secret. Pari, however, failed to impress critics. Film critic Saibal Chatterjee in his review to NDTV gave Pari '2 stars out of 5' and wrote: "Pari is an uneven film that could have benefitted from the intervention of a more assertive editor. While it is replete with twists, these throw the audience off rather than aid in enhancing clarity. The film does not keep up the pressure all the way through because it meanders into unnecessary spaces en route to its goal." Directed by Prosit Roy, Pari also stars Parambrata Chatterjee, Rajat Kapoor and Ritabhari Chakraborty in prominent roles. Pari is Anushka's third film as producer after NH 10 and Phillauri.